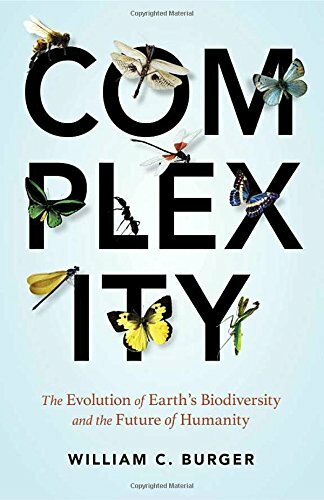 This very readable overview of natural history explores the dynamics that have made our planet so rich in biodiversity over time and supported the rise and dominance of our own species. Tracing the arc of evolutionary history, biologist William C. Burger shows that cooperation and symbiosis have played a critical role in the ever increasing complexity of life on earth. Life may have started from the evolution of cooperating organic molecules, which outpaced their noncooperating neighbors. A prime example of symbiosis was the early incorporation of mitochondria into the eukaryotic cell (through a process called “endosymbiosis”). This event gave these cells a powerful new source of energy. Later, cooperation was again key when millions to trillions of individual eukaryotic cells eventually came together to build the unitary structures of large plants and animals. And cooperation between individuals of the same species resulted in complex animal societies, such as ant colonies and bee hives. Turning to our own species, the author argues that our ability to cooperate, along with incessant inter-group conflict, has driven the advancement of cultures, the elaboration of our technologies, and made us the most “invasive” species on the planet. But our very success has now become a huge problem, as our world dominion threatens the future of the biosphere and confronts us with a very uncertain future. Thought-provoking and full of fascinating detail, this eloquently told story of life on earth and our place within it presents a grand perspective and raises many important questions.